On one of my website, I was using a special font, the Web Open Font Format (.woff) and while all was working fine in all browsers, I noticed Google Chrome was returning a 404 HTTP Status Code. This meant that it was not able to find the file. I looked into the path given by the style sheet and there it was. So no problem there but what was actually causing the error? It was my server not knowing what to do with this extension. I was running IIS7.5 and it was not configured to process .woff files. 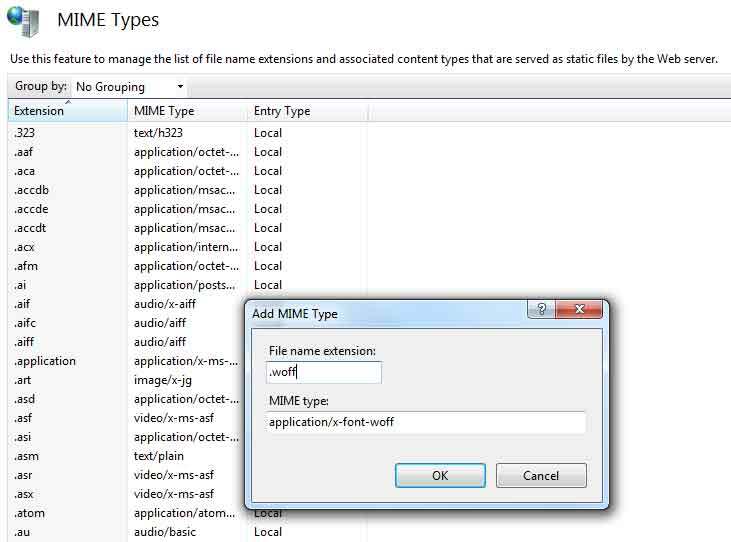 Therefore you either need to add this MIME type to your server by specifying application/x-font-woff to be used for that extension. I opted for the second option (web.config modification) and Chrome stopped complaining about the missing .woff files.